What: Every year, millions of animals are electrocuted, poisoned, or skinned alive for their fur. 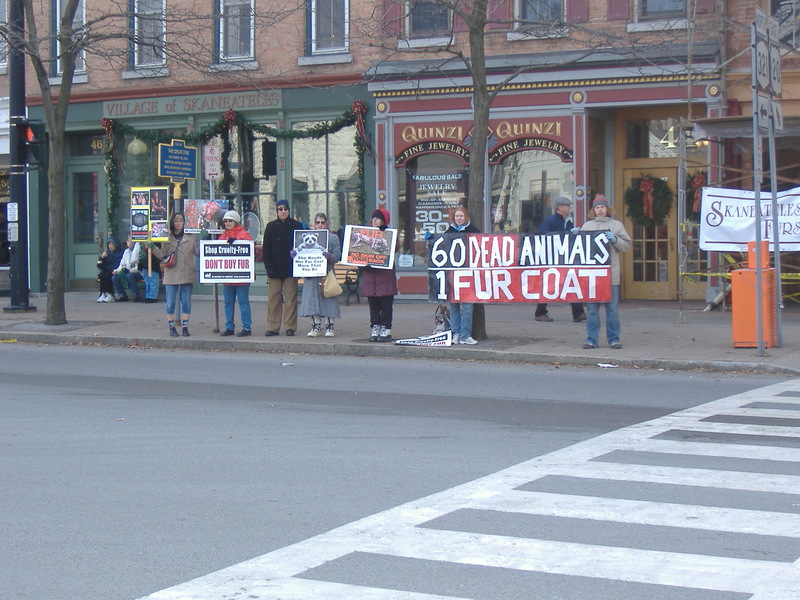 Join hundred of people across the country to protest the horrendous fur trade on the busiest shopping day of the year. Signs and leaflets will be provided. Not in Syracuse for the holiday? Visit www.furfreefridayida.org/2010events.html to find an event near you. Note: Dress appropriately for the weather! Wear gloves, hats, scarves, legwarmers etc. The shop is on the shore of a lake, and the wind coming off of it is very chilly! This entry was posted in Uncategorized on November 9, 2010 by saro.